Science encompasses several different topics, which include health and safety in the early grades in school. 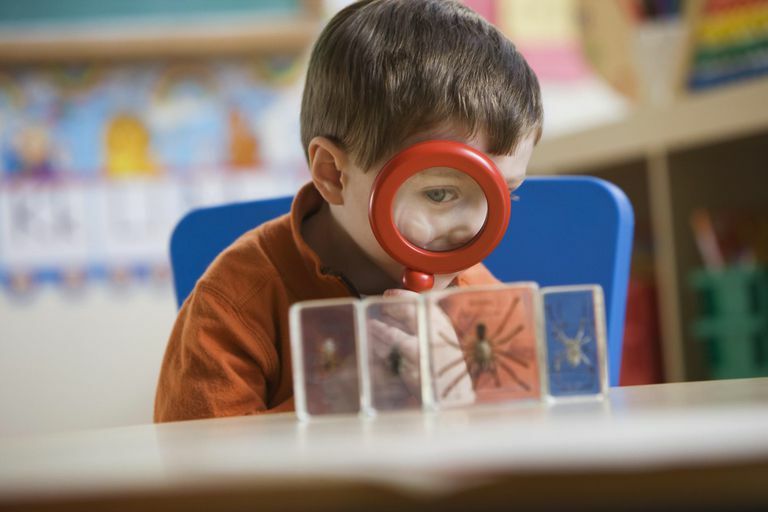 Other than health and safety, science topics that first graders can expect to study are the physical sciences, earth science, life science, and environmental science. These are the same sciences that children begin exploring in their kindergarten science studies. In first grade, they build on what they have learned in kindergarten. Your child will learn more than just scientific facts. He will also continue to build on the skills needed for scientific inquiry, such as making observations, organizing data, thinking analytically, and developing problem-solving skills. Here is what you can expect your child to learn by the end of first grade. What topics are included in the physical sciences? Everything about the physical world: chemistry, physics, and astronomy. Earth sciences are also often included under the physical sciences, but they are also sometimes included as a separate topic. Some of what children learned in kindergarten about science will be covered again in first grade, usually in more detail. Children will begin to explore topics in more depth, expanding their knowledge and understanding of the properties of certain materials and the ways in which these properties can be observed, measured, and predicted. Recognize that solids and liquids are states of matter and have properties that can be described. Earth sciences include all the science involving the earth. That includes learning about the earth itself and learning about what affects the earth. Children will learn about the solar system and Earth's position it in. They will also learn about the sun and how it affects the Earth's climate and weather. They will also learn about the Earth itself, the rocks, soils, and bodies of water that make up the Earth's surface. The life sciences are about life on the planet, both plant and animal life. Children will learn the difference between living and non-living things and what living things need in order to survive. Identify the life sequences of some different types of insects (simple and complete metamorphosis). As children get older, they need to become more responsible and to become more responsible, they need to learn more about their bodies and how to take care of them. That includes learning about nutrition, exercise, and safety.